With new advanced techniques developed by the Copenhagen Center for Glycomics at the University of Copenhagen, it is possible to study cells in greater detail than ever before. The findings described below have just been published in the June 20, 2014 issue of the Journal of Biological Chemistry and may, in the long term, improve the treatment of high cholesterol. Researchers from the Copenhagen Center for Glycomics at the University of Copenhagen have studied an important receptor protein called LDLR (low-density lipoprotein receptor) (see image) using new, ground-breaking techniques. The protein plays an important role in the absorption of the so-called “bad” cholesterol, LDL (low-density lipoprotein). The key to major discoveries within the fields of health and diseases is not just hidden in the human DNA code. The proteins encoded by the genes also play an important role, not least the attached sugar chains which give the proteins an identity and handle important functions in the human organism. Here, the researchers have studied how LDLR is decorated with sugar molecules, so-called glycosylation modifications. "We have not previously had a simple method for studying where glycosylation modifications are located on proteins in the body, because the sugars are very complicated and appear in different combinations. By removing the Cosmc protein, which is necessary for extending the sugar modifications, we have created cells with simplified glycosylations, which we call SimpleCells. The technique has enabled us to see 20 times as many sugar modifications on our proteins as were previously known," says Nis Borbye Pedersen, Ph.D., formerly postdoc at the Copenhagen Center for Glycomics, now postdoc in the Department of Biology, University of Copenhagen. Researchers have discovered that women who had been prescribed aspirin regularly before being diagnosed with breast cancer are less likely to have cancer that spread to the lymph-nodes than women who were not on prescription aspirin. These women are also less likely to die from their breast cancer. The study of Irish patients funded by the Irish Health Research Board and Irish Cancer Society and published by the American Association for Cancer Research in the August 1, 2014 issue of Cancer Research, analyses records from the National Cancer Registry Ireland (NCRI), and prescription data from the General Medical Service (GMS) pharmacy claims database. "Our findings suggest that aspirin could play a role in reducing mortality from breast cancer by preventing the cancer spreading to nearby lymph nodes," said Dr Ian Barron, the lead author who carried out the research at Trinity College Dublin, and is now working at Johns Hopkins in the USA. 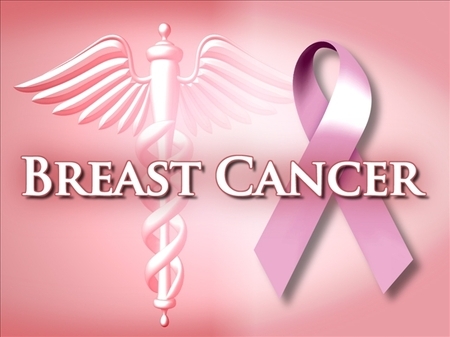 "We analyzed data from 2,796 women with stage I-III breast cancer. We found that those women prescribed aspirin in the years immediately prior to their breast cancer diagnosis were statistically significantly less likely to present with a lymph node-positive breast cancer than non-users. The association was strongest among women prescribed aspirin regularly and women prescribed higher aspirin doses. We now need to establish how and why this is the case." The findings are consistent with two other major studies. The first is an analysis of cardiovascular trials where pre-diagnostic aspirin use was associated with a statistically significant reduction in the risk of developing metastases and dying from cancer. The second is an observation from in vivo breast cancer models, which suggest a possible mechanism by which aspirin may reduce the risk of cancer spreading to other parts of the body. An enzyme therapy may prevent skeletal abnormalities associated with the genetic disorder neurofibromatosis type-1, Vanderbilt investigators have discovered. The researchers demonstrated in a mouse model of the disorder that the enzyme asfotase-alpha improves bone growth, mineralization, and strength. The findings, reported online on July 6, 2014 in Nature Medicine, “suggest that we can make bone stronger and better by injecting this drug, and possibly prevent fractures in patients with neurofibromatosis,” said Florent Elefteriou, Ph.D., director of the Vanderbilt Center for Bone Biology. While he is excited about the results, Dr. Elefteriou emphasized the challenge of moving from mouse to human studies. “It’s very difficult to set up a clinical trial in patients with a rare disease; it will have to be an international effort to pool these patients,” he said. Neurofibromatosis type-1 (NF1) is caused by mutations in the gene for neurofibromin, a protein that regulates cellular signaling pathways. The disorder causes nervous system tumors and skeletal pathologies including scoliosis, bone fragility, fracture, and pseudoarthrosis (non-union of the bone following fracture). Fractures are treated surgically to stabilize the bone and promote healing. Some families opt for amputation, to spare their children the pain of repeated surgeries, Dr. Elefteriou said. “We wondered if there might be a way to prevent the fractures from happening in the first place,” he said. It was difficult to even propose non-surgical preventive treatments, however, because it was unclear how mutations in neurofibromin cause skeletal pathologies. To investigate the molecular pathology of NF1, Dr. Elefteriou and his colleagues, including first author Jean de la Croix Ndong, Ph.D., have studied a mouse model of the disorder. A new technique developed by Dr. Elisa Konofagou, professor of biomedical engineering and radiology at Columbia Engineering, has demonstrated for the first time that the size of molecules penetrating the blood-brain barrier (BBB) can be controlled using acoustic pressure—the pressure of an ultrasound beam—to let specific molecules through. The study was published in the July 2014 issue of the Journal of Cerebral Blood Flow & Metabolism. “This is an important breakthrough in getting drugs delivered to specific parts of the brain precisely, non-invasively, and safely, and may help in the treatment of central nervous system diseases like Parkinson’s and Alzheimer’s,” says Dr. Konofagou, whose National Institutes of Health Research Project Grant (R01) funding was just renewed for another four years for an additional $2.22 million. The award is for research to determine the role of the microbubble in controlling both the efficacy and safety of drug safety through the BBB with a specific application for treating Parkinson’s disease. Most small—and all large—molecule drugs do not currently penetrate the blood-brain barrier that sits between the vascular bed and the brain tissue. “As a result,” Dr. Konofagou explains, “all central nervous system diseases remain undertreated at best. For example, we know that Parkinson’s disease would benefit by delivery of therapeutic molecules to the neurons so as to impede their slow death. But because of the virtually impermeable barrier, these drugs can only reach the brain through direct injection and that requires anesthesia and drilling the skull while also increasing the risk of infection and limiting the number of sites of injection. Scientists have known for decades that cancer can be caused by genetic mutations, but more recently they have discovered that chemical modifications of a gene can also contribute to cancer. 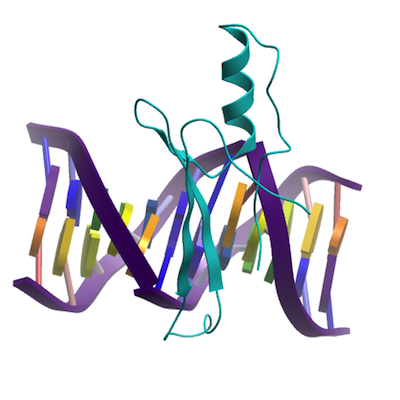 These alterations, known as epigenetic modifications, control whether a gene is turned on or off. Analyzing these modifications can provide important clues to the type of tumor a patient has, and how it will respond to different drugs. For example, patients with glioblastoma, a type of brain tumor, respond well to a certain class of drugs known as alkylating agents if the DNA-repair gene MGMT is silenced by epigenetic modification. A team of MIT chemical engineers has now developed a fast, reliable method to detect this type of modification, known as methylation, which could offer a new way to choose the best treatment for individual patients. “It’s pretty difficult to analyze these modifications, which is a need that we’re working on addressing. We’re trying to make this analysis easier and cheaper, particularly in patient samples,” says Dr. Hadley Sikes, the Joseph R. Mares Assistant Professor of Chemical Engineering and the senior author of a paper describing the technique first published online on April 28, 2014 in the journal Analyst. The paper’s lead author is Brandon Heimer, an MIT graduate student in chemical engineering. After sequencing the human genome, scientists turned to the epigenome — the chemical modifications, including methylation, that alter a gene’s function without changing its DNA sequence. In some cancers, the MGMT gene is turned off when methyl groups attach to specific locations in the DNA sequence — namely, cytosine bases that are adjacent to guanine bases. When this happens, proteins bind the methylated bases and effectively silence the gene by blocking it from being copied into RNA.